South Carolina’s voters will weigh in on whether they deem gambling as an acceptable means for raising revenue. $20 billion – that’s how much the South Carolina Department of Transportation estimates it will cost to repair the state’s decaying roadways. So it comes as little wonder that the state’s Democratic Party would consider alternative revenue streams, even if they don’t necessarily jive with the its moralistic views. But few would have thought that the ultra-conservative state would consider gambling expansion as an acceptable means of procuring additional tax dollars. But according to wbtw.com that’s exactly what will be on the agenda this June, when South Carolina’s Democratic Party will poll users regarding their opinion about online gambling. Two questions on the Democratic primary ballot will address the issue. The first, and more general question, will ask voters to weigh in on whether or not individual states, as opposed to Congress, should be given the right to pass iGaming bills and determine their own regulatory processes. To date, three states (Nevada, New Jersey and Delaware) have already gone this route, with evidence pointing to California, Pennsylvania and Illinois soon following suit. The second will measure whether residents would prefer gambling expansion to a tax hike. Because the questions will be part of an advisory referendum, the results of the poll will not have any immediate impact on South Carolina’s current gambling statutes. They will however serve as a factor should lawmakers start to seriously consider the iGaming issue in the future. 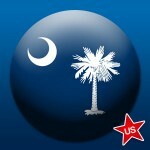 Like most states situated in the Deep South, South Carolina holds a staunch anti-gambling position. The only forms of gambling currently available to patrons of the state are the State Lottery and limited forms of charitable gaming. All forms of poker, regardless of whether the house takes rake or not, are strictly forbidden, as are horse racing, land-based commercial and tribal casinos and slot machines. The poll will not address how the gambling laws would be revised. Does South Carolina stand a realistic chance of legalizing more forms of gambling? Rutherford also implies that he can see the cities of Aiken and Camden hosting a burgeoning horse racing industry. 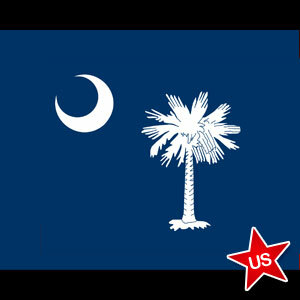 But with only a handful of liberal states either having penned an iGaming bill or considering the merits of Internet gambling, can one really expect the historically conservative South Carolina to suddenly become a proponent of gambling expansion? Smart money is on “No.” However, the state has suffered its share of economic hardships of late, and gambling (primarily land-based) is one means in which it can generate a sizable amount of income quickly. And given the prospect of increased taxes, some voters may be quick to compromise their belief system if it means the roads get fixed and they retain the same portion of their income. But given its population of only 4.77 million, which is roughly half of New Jersey, and the strong conservative contingent in government, we’d be hard-pressed to see an iGaming bill enacted into law anytime soon.